Are you getting ready for “U fistinu”, the main event of the city of Palermo? Everybody in Palermo is excited about the celebration of Saint Rosalia, “la Santuzza” in Sicilian dialect, a term of endearement that shows the great affection that people of Palermo have for her. Thousands of people get on the streets and celebrate every year Saint Rosalia during “U fistinu”, shouting all together to the top of their lungs “Viva Palermo e Santa Rosalia” that means “Hurrah for Palermo and for Saint Rosalia!” If you want to discover the real spirit of Sicily’s capital you can’t miss this. If you want to attend the celebrations and you are looking for a suitable accommodation, you can check out our catalogue of villas to rent in Palermo. The reason why people are very attached to Saint Rosalia is that somehow she stands as a symbol of the spirit of the city. According to the legend the bones of the young Rosalia set Palermo free from the plague. Here is her story. Rosalia was born in 1128 from a noble family. After refusing to get married with a Count, at the age of 13 years old she decided to live a religious and chaste life, running from home first to a cave in the Quisquina forest near Agrigento, and later hiding on Mt. Pellegrino, the promontory that overlooks Palermo, where she lived until the death. Later the church proclaimed saint the young Rosalia. During the plague of Palermo in 1624 Rosalia appeared on Mt. Pellegrino to a hunter who was going to kill himself because the plague killed his wife. The spirit of Rosalia told him the only way to save Palermo from the plague was to bring her bones through the town. So he did: he found the remains of Rosalia in a cave and brought them back to town. During a procession in her honour her bones were carried around the streets of Palermo, people suddenly recovered and the contamination of the plague stopped.That’s the reason why Saint Rosalia is still today the patron of Palermo. In 2016 the feast for Saint Rosalia will be celebrated for the 392nd time. 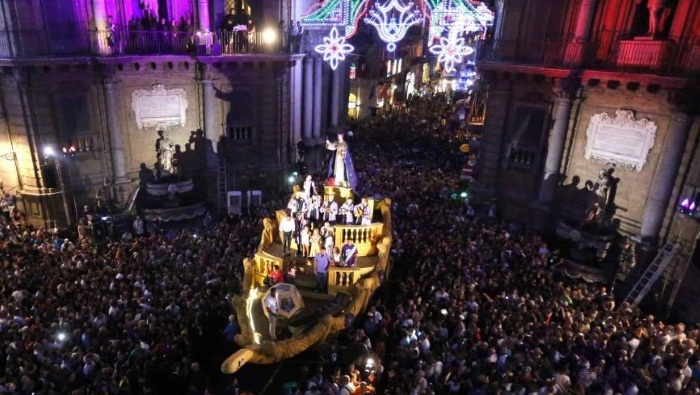 During the night between July 14 and 15 the float with the statue of Saint Rosalia will be brought on parade from the Cathedral of Palermo to “La Cala” the area near the harbour of Palermo. 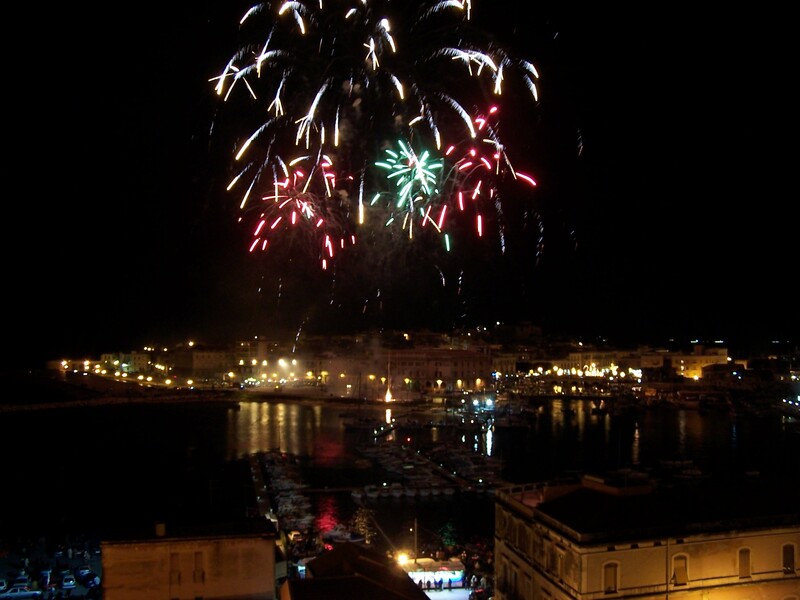 Rosalia will be followed by the whole city and at its arrival on the seaside it will be welcomed by fireworks. The float of Saint Rosalia changes design every year, as well as the performances that take place in front of the Cathedral and by the sea, on a stage placed on the seaside.